When we chose to write about DLP, we did not only choose the topic due to the general negligence of the public on this topic. We wanted to focus on why DLP is important for everyone to understand thoroughly and tackle problems that arise immediately. Helping to protect enterprise data from risks and data loss can occur at any time. By simply following the requirements set from the beginning, many can help protect financial loss, brand damage and even noncompliance penalties that have occurred on many managers. 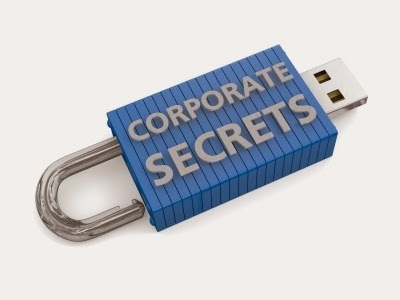 Accidental disclosure of data or data theft by insiders or hackers has caused many their jobs. IT managers must have an understanding of Data Leak Prevention before they take the first step to safeguard their infrastructure. To ensure confidential information is protected on the network, servers, databases and even endpoints, they have to have the right software, hardware and educated staff members. Here's where it gets difficult. Reporting. An IT manager's job is not only securing the network but making important documentations and reports that can be used to trace a problem, help when backing up crucial data and give the management feedback on how the department has been progressing during the year. Auditors and board members are the hardest to entertain when it comes to summarizing the spending of the IT department. Reports makes it easier and streamlined to give a visual on where the financial aid has been spent, securing confidential data is a priority to any board member and specially any accredited auditor. After the foundation has been set out in the company, monitoring the transfer, duplication, editing and creation of data should be easy. Sensitive information can be copied to removable storage devices in a matter of seconds. Even when data is disguised, data leakage can occur if not monitored closely through human eyes and/ or intelligent software modules based in each endpoint. Though this might seem very hectic for the department to monitor over 100 employees, many security software industries are now deploying end-to-end notification software that would give the department a heads-up if any data was altered, copied or deleted from an endpoint that was trusted or unauthorized to be looking at such sensitive information. Within seconds, managers can track down who, when and where did the information get leaked to. This is where reporting comes to serve its importance, when these threats to the company get acknowledge and reported weekly the board is satisfied with the automated security it has on its network and servers. Recently, Twitter and Facebook servers were hacked with many accounts being jeopardized and replicated to gain crucial data that serves hackers the purpose of selling that information to marketing agencies and research industries. How can someone benefit from knowing something that is already set on my Facebook account you might wonder? In a case study done recently, SO% of marketing agencies get their sources from Facebook pages and Twitter accounts. Knowing what you're interested in and what you would be inclined to buy next Christmas can help them target what they should be emailing you every hour/day/ week. With your email address and information organized in different databases, your email is worth more to them than it might be to you. Once data is out in the open, there is no getting it back. The Internet has shown that data given for free is read twice as much in an hour than data that is sold in a week. So managers, be careful on what comes in and out of your company for someday, you might find yourself fighting a lawsuit that you do not even know was possible to be filed.